By Cruiser765, October 2, 2007 in What Ever Happened To........??? I am relatively new to CC, but have been browsing through the boards and am really enjoying. Most of my posts have been on the Cunard Board, but today, having time on my hands l have taken a look on here. 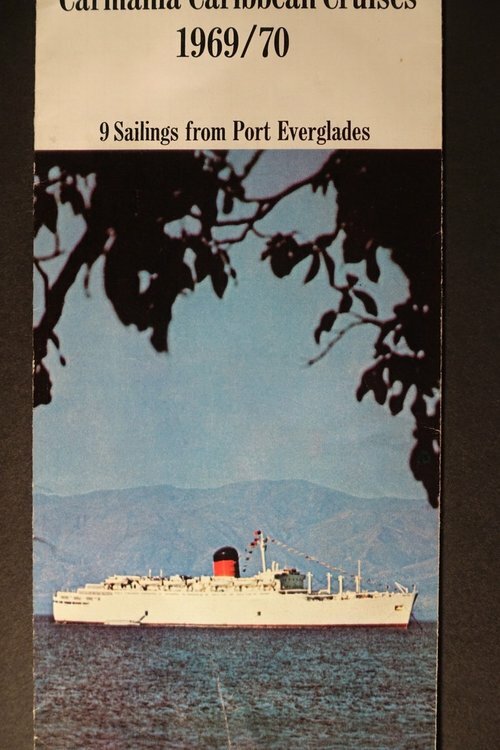 I was so delighted to see mentioned RMS Franconia, as l worked on board for ten months in 1971 on the NY/Bermuda cruises! I was also on her when she left Bermuda for the last time and also stayed aboard with a skeleton crew for the TA crossing back to Soton. I have very fond memories and heartbreaking ones too when we had to leave her for the last time. 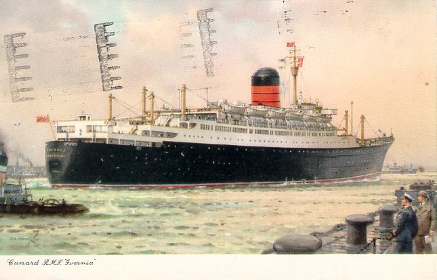 Within a few days of leaving Franconia l found myself working aboard the SS Ocean Monarch on a world trip. Then it was the Shaw Savill Line. Just wondering here if anyone remembers this ship. My father serverd as an assistant engineer on the SS Ocean Monach during the nineteen fifties. Does anyone remember anyone else from this ship? If your father worked on a ship named the Ocean Monarch in the 1950's, then he was on the Furness Withy liner of that name built in 1951, which mostly sailed between New York and Bermuda in conjunction with the slightly larger Queen of Bermuda. 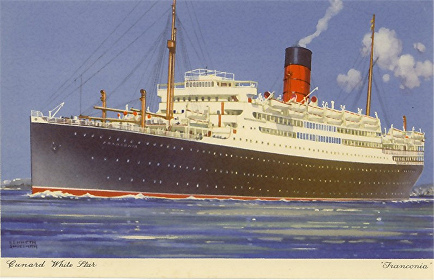 The Ocean Monarch that Yorkslady sailed on was with the Shaw Savill Line, and was an entirely different ship. This ship sailed for the Bulgarians regularly until 1970 wnen she was laid up for an entire decade and finally scrapped in 1981. Interestingly, the slightly newer ship (the former Empress of England, that is) was a crashing failure as the Ocean Monarch. Everything she did for Shaw Savill absolutely bled money, so they scrapped her in 1975. Many thanks for your lovely post, l had almost given up on any replies and apologise for not picking up on your post sooner. This again brought back lovely memories of the *****. We sailed from Soton on November 5th 1971, l was to celebrate my 20th birthday on her two days later! I remember going aboard ***** in Barbados in the 70's, when it was on its way back from Australia. At the time,I think I was working on either QE2 or Cunard Amabassador. From what I remember, I think the crew had gone on strike in Australia or something, because the ship was due to be finished on arrival in Soton. I well remember FRANCONIA. I sailed in her as a Deck Boy in the summer of 1967... age 14. I was on her again in 1968 for a run to New York, but as a passenger then crossed in Queen Elizabeth to Southampton and then made the same voyage in reverse a month later... with Liz Taylor and Richard Burton on board. I sat in the cinema one afternoon with Richard sitting behind me. OCEAN MONARCH. I sailed with Shaw Savill as 2nd Officer in 1977 but by that time the ***** had been long gone. Some years later I was Ch Off on POLAR URUGUAY and the master was ex OCEAN MONARCH... Captain Brian A. Hills. He might have beeen in command when you were there. If not then you might have had Captain Magnus Musson. Musson was relief master on the *****. Musson, BTW was ex Furness and was former Master of the QUEEN OF BERMUDA. He passed away some years aago but by coincidencee I met his cousin just a few months ago on the SAGA ROSE. I don't remember too many people from FRANCONIA that might have been there in 71. Tom King... Bosun. Pat Connelly Storekeeper. Captain George Smith? Staff Captain Lee. You have a good memory!! Captain Brian Hills was in command during my time on *****. I still have ships menus somewhere with his name on them! Capt George Smith was the last man at the helm of the Franc when we brought her back to Soton for the last time. He was featured in the Dail Mail when we arrived back as we had gone to the rescue of a Norwegian ship called Anatina which was on fire. I don't remember a lot of the crew on Franconia except for the crew purser Mark Godfree, who had been on Queen Elizabeth. He and my boss married shortly after we left the Franc and we still keep in touch every year. Also remember a guy called Les who was in charge of the crew galley and made the most delicious fish n chips for us every Friday! What a fabulous experience for you on the Lizzie meeting Burton & Taylor. 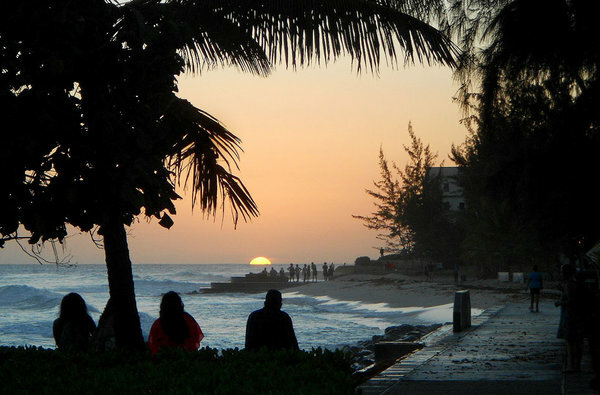 We had the most fabulous time in Bermuda each week and got to know so many local people then. 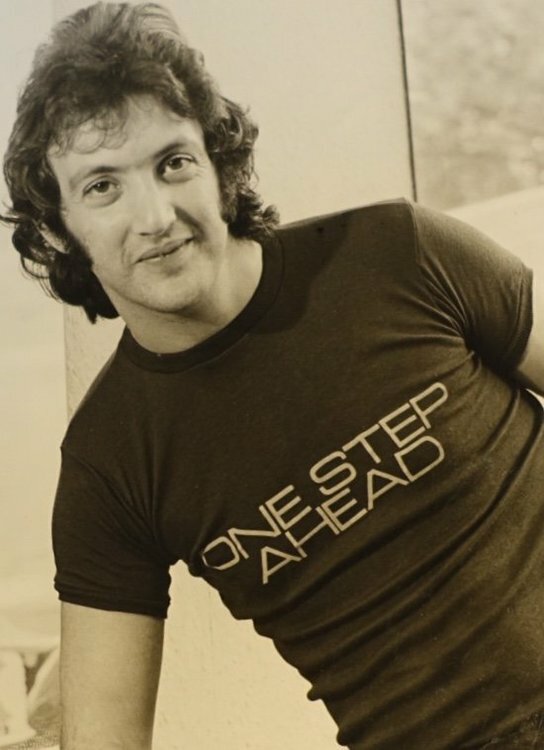 Our celebrity 'specials' in those days were Tom Jones, Roy Castle and The Three Degrees, just before they hit the big time. One of our favourite haunts was the Forty Thieves Club where we always got free drinks! Elbow Beach during the day was another favourite. 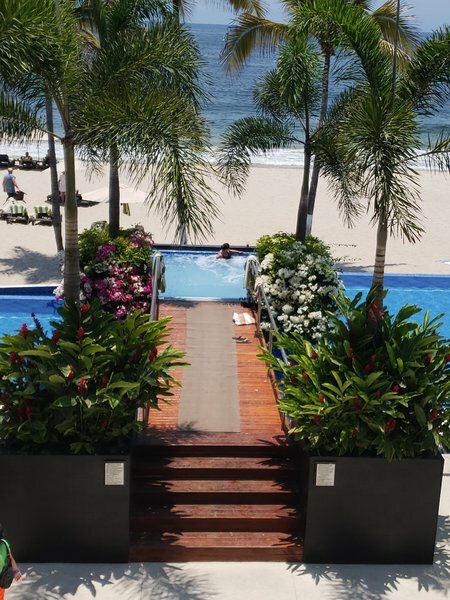 I absolutely adored the island, but sadly have never been back, l expect it's changed a bit! My first cruise was on the delightful Franconia - five days New York-Bermuda - and as with all "firsts" one unforgettable experience. I was much younger and just beginning to travel and fighting with my parents about "wasting my money" on such a frivolous venture. I still have a love affair raging with anything that floats, particularly the venerable old "liners", and am so glad I have at least had the experience of a trans-atlantic voyage (QM2). I do wish I could have more of them. 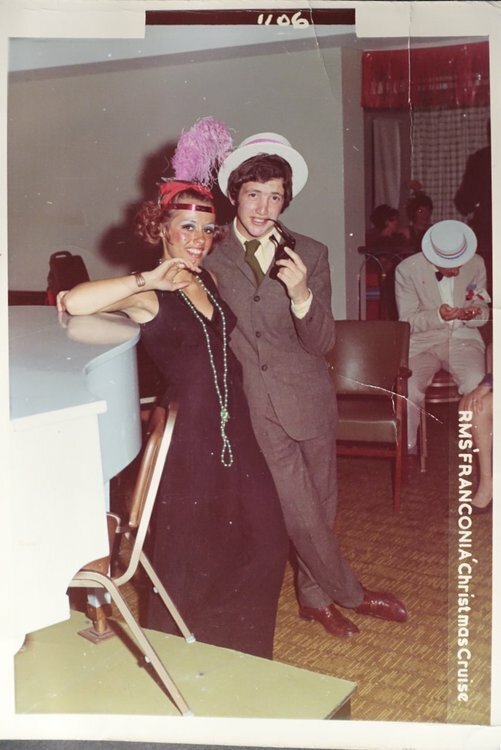 The Franconia voyage must have been in the 70's...I recall it was terribly rough with the ship both pitching AND rolling so the ride was an adventure to say the least. It was in November, I do remember that much...but it was the beginning of many more cruises for me. Does anyone remember Captain Arthur Adams who sailed on the Ocean Monarch in the early 1960s? He was my Dad. Yes, my Dad, Captain Arthur Adams, served on the Ocean Monarch in the early 1960s. 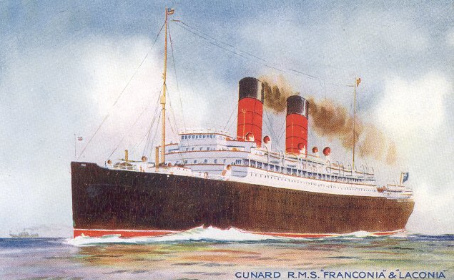 I suspect you are talking about the third RMS Franconia, all Cunard ships. The first was a sister ship of Laconia. The second launched in 1922. 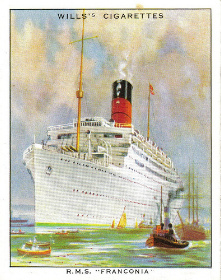 I sailed that Franconia from Southampton to Le Havre to Hastings to New York in 1956. She was broken up in 1957. The third was previously the Ivernia and a sister ship of Saxonia. They were all about the same size but had different profiles. Or maybe the third was a bit larger. This was the second, in the 1956 colors. This was the second during the war. I suspect you are talking about the third RMS Franconia, all Cunard ships. The first was a sister ship of Laconia. The second launched in 1922. I sailed that Franconia from Southampton to Le Havre to Halifax to New York in 1956. She was broken up in 1957. The third was previously the Ivernia and a sister ship of Saxonia. They were all about the same size but had different profiles. Or maybe the third was a bit larger. Apparently it is too late to actually edit the post. I should have said Halifax instead of Hastings. Also I have been digging around the maritime history of "Franconia" and discovered one that predates the first Cunard Franconia. It was a German steamship that apparently had a habit of colliding with other ships and sinking them, then steaming away without offering assistance. Two such well-documented collisions were in 1876 in the English Channel and in 1883 in the East River ( New York ). I suspect folks here are more interested in cruising than history, but I find the history of "cruise" ships quite entertaining. I was hoping someone would shed some light on a tea spoon I bought in a charity shop recently. It was 50p and I only bought it because it was obviously a souvenir from a ship! But basically it has the ship name "S.S. OCEAN MONARCH" with a white flag at the top. I was hoping if anyone could tell me please, if at all possible which ship it came from (being two!). As I wish to make a little presentation for it, including the Captains name etc. So if anyone could also be very kind enough to tell me which route she served on etc. Below is a photo of the spoon . And I did find a very similar one on the web, but with a slightly different design at the bottom? P.S. dont take any notice of the value! Im sure its not that much at all. In 1968 a friend and I walked down to the pier and paid 25 cents for a ticket to go aboard the Franconia for a visit. We stayed until the "all ashore" call was made. Those days are long gone. My first cruise was on the Ocean Monarch in August 1955. We sailed from NYC to Halifax, Quebec and down to Bermuda where we were delayed by Hurricaine Edith. She was a wonderful ship. This was the first time I cruised and my first and only trip to Bermuda. Had a great time. Going back to Bermuda this June after 41 years!! Loved the Franconia and the the entire crew. Hope RC live up to my wonderful memories! i worked on RMS Franconia from December 1968 to March 1969 running the ships barber shop. I was just 19 at the time. I did a two week Christmas/ NY Mediterranean cruise then empty ship from Southampton to Fort Lauderdale doing Caribbean the New York- Bermuda. wonderful memories that I’m now writing up for my upcoming 70th birthday in August. i was running the barber shop on RMS Franconia from December 1968 to March 69- 2 wk Christmas/ New Year Med cruise - Fort Lauderdale Caribbean cruise - New York-Bermuda. Does anybody have memories to share as I’m writing this up for my upcoming 70 th celebrations. i was friendly with the ship band, photographer and loads of others on board at the time and probably cut the hair of most of the crew.